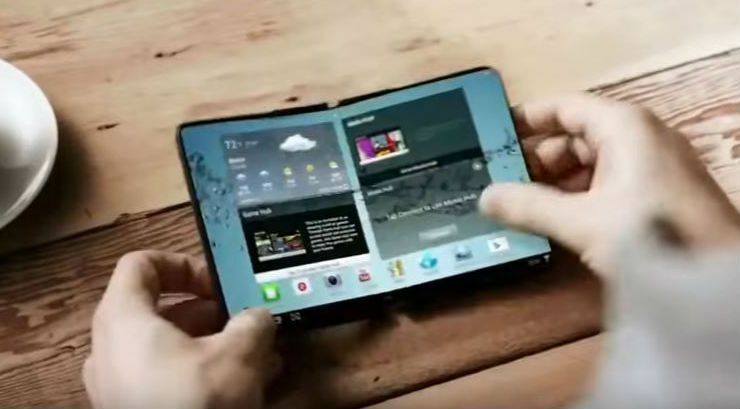 Perhaps feeling that Apple is going to dominate the news cycle over the next week or two, Samsung’s head of mobile has just put it on the public record that Samsung will release its first smartphone with a foldable display in 2018. Speaking at a Galaxy Note 8 press conference in its home market of South Korea, Samsung’s Koh Dong-jin said that the foldable smartphone will be launched under the Galaxy Note brand. Although the company has been working on the technology for the past decade, he admitted that there were still some issues that needed to be ironed out without elaborating. Given the recent pre-order sales records the Note 8 has enjoyed in both the U.S. and South Korea, it is not surprising that Samsung would want to continue to leverage its Note branding after recovering spectacularly from the Note 7 debacle last year. The Note 8 holds a lot of appeal, but for many customers its 6.3-inch display makes it too large. The key advantage of a foldable device is that offers users a large display in a much more pocketable form factor. If Samsung gets this technology right, it could be a game changer by broadening the overall appeal of the Note considerably. Koh Dong-jin also went on to add that the company is working with its wholly-owned subsidiary Harman Kardon to bring an intelligent speaker to the market using its own Bixby voice recognition technology. When it does eventually launch, it will be the third intelligent speaker to reach the market from Harman Kardon. Just last week it launched an intelligent speaker powered by Amazon’s Alexa and late last year it launched one powered by Microsoft’s Cortana.